As a general rule, you will find workers accommodation for the season once you arrive in Ayia Napa. This can seem a little daunting but thousands of people find accommodation without any problems each summer and like finding jobs, it really is a case of walking round and looking and asking other workers. There are many “flats for rent” signs all over town so walk around and have your phone with you as you may see a poster in a window or a sign on a wall, be prepared to ask! There are hundreds of apartments all over Ayia Napa which are rented out as workers accommodation. These are mostly all privately owned or operated by managers who look after lots of apartments and rooms. There are no estate agents or travel agents in resort that you can go to who are able to book workers accommodation for you but there are now a couple of companies who will take bookings for workers accommodation on-line in advance, napaworkersrooms and agianaparooms are the main ones. If you haven’t been before though it isn’t recommended to pay upfront for a whole summers accommodation when you may go home after a couple of weeks. Still the most common way of getting workers accommodation is by finding somewhere in resort and then moving straight in. This way you also get to see what you are paying for before you commit to something. To get in touch with the accommodation owners you will need to walk around Ayia Napa, calling numbers on the Flat for Rent signs, speaking to other workers and speaking to business owners who can usually either recommend somewhere or someone to speak to. Word of mouth is often the best way to get accommodation. There are a few jobs which will provide accommodation for their staff but this is pretty rare so workers generally need to find their own long term accommodation for the duration of their stay in Ayia Napa. What most people do is book one to two weeks in a tourist hotel or holiday apartment complex, either as an accommodation only booking or as part of a package holiday with a flight and airport transfer and then just don’t use the return part of the flight. This can sometimes work out cheaper than just booking a one way flight and a week’s accommodation separately, especially if there are 2 or more of you travelling together and you’re planning to arrive in late April or in May. There are two different ways of renting workers accommodation in Ayia Napa. 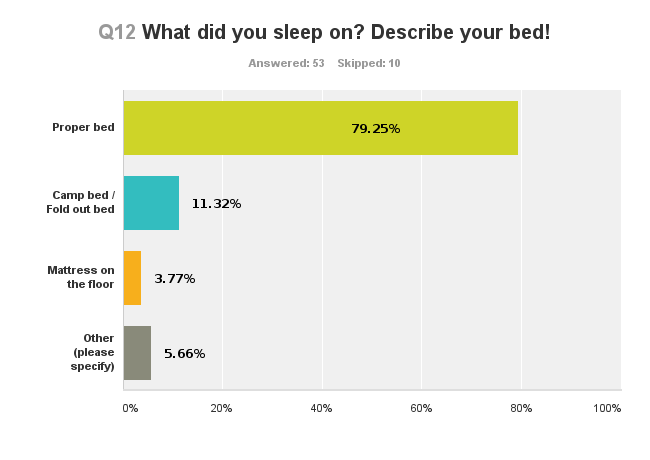 Those rented on a per apartment basis and those rented on a per bed basis. 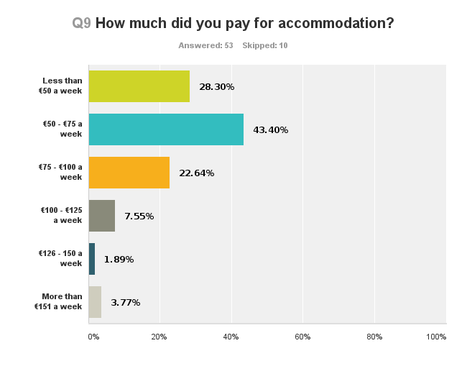 Most workers will pay for their accommodation on a per bed basis, usually paid weekly. 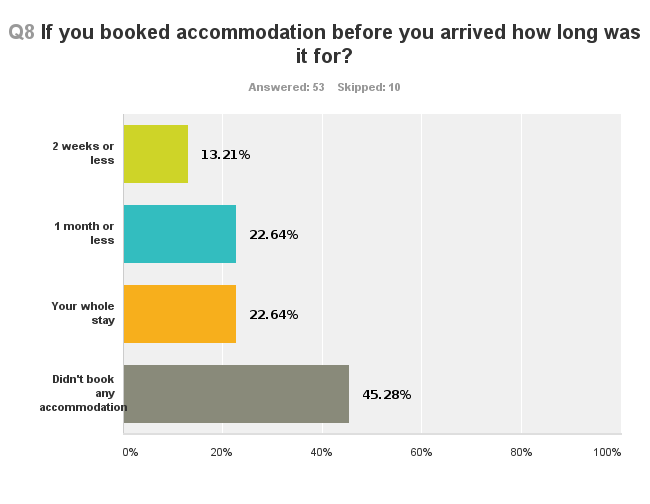 No deposit is usually required but prices can be as much as €120 per person per week in June and July when demand is really high and there is little available. Accommodation is very basic and the buildings are usually old. You may be above a bar or shop. If you get in early enough in the summer you will get an actual bed. Camp beds, mattresses on the floor and even sunloungers are what you may have to sleep on if you arrive in peak season. The apartment owner generally decides who is going to sleep where, and you will usually end up sharing an apartment with whoever the owner decides, so mixed genders and people you don’t know will be your flat mates. These are the sort of apartments you stay in when you are on holiday so they are not intended for long term stays of a few months or a whole summer. They get very expensive at peak season to be used as workers accommodation but in April, May and early June and again in late August, September and October they can be pretty good value and have the benefits of tourist facilities like pools, bars and maid service. If you haven't been to Ayia Napa before, we recommend you book at least a week in tourist accommodation for when you arrive so that you have some time to look around and find a job and accommodation. This way you are not rushed into accepting anything you later regret. You can book holiday accommodation through travel agents or online on accommodation company’s websites. Read More. Though not the usual workers accommodation, some people do choose to book a private rental. These are apartments which are usually only available for longer lets, usually a minimum of 6 months but preferably longer or year round. They usually require a deposit and will often be of a higher standard than workers accommodation. Owners are a lot more selective who they rent to. Getting this type of apartment is usually through personal recommendation to the owner or through a rental agent or online company. They are not a common choice for first time workers who may or may not last the season. Long term rentals can start from as little as €300 a month depending on the size and standard of the apartment. Some Long term lets are available through accommodation agencies which can be found on line where bookings can also be made. Most will require at least 1 month rent as a deposit plus a month rent up front and some may even ask for up to 3 months rent in advance. If there is a group of you, it may work out better value to rent a villa. On the edge of Ayia Napa at Ayia Thekla (past the Waterpark) there are hundreds of villas available which divided between a group of people can be quite cheap. Visit Ayia Thekla to look for "For Rent" signs or look on-line at villa rental agencies. Deposits of at least 1 month will be required and there may be a minimum contract of 6 months. What is workers accommodation like? We're not going to soft soap it, workers accommodation is known to be pretty basic so don’t expect the same standards as with places you have stayed in on holidays. Many workers apartment blocks used to be tourist holiday accommodation that became too old, fell below maintenance standards or just were too unappealing for holidaymakers to want to stay in them anymore. An average workers apartment will have 5 or 6 people in it who often previously did not know each other. You may not get on with all of your flat mates, you may even actively hate them. They may not be trustworthy, they may be untidy, dirty, messy, use your things, leave doors open, make noise when you’re trying to sleep, hog the bathroom and lots of other things that you won’t like. Workers apartments are known for being dirty and messy. They generally won’t have any kind of cleaning service so it will be down to the people in it to keep it livable. By June and July when people have been coming and going for 2 or 3 months some workers apartments can be pretty disgusting. Floors won’t get cleaned and with open windows and doors will get dusty and dirty fast. Bathrooms are a breeding ground for germs; hot, wet and smelly. ​At some point someone will usually reach their grime limit and will go and buy some bleach and cleaning products and give the bathroom a good scrub, until then you might want to shower in your flip flops! Expect to have no privacy. You won’t have an apartment to yourself; you won’t even have a bedroom to yourself. Sofa beds and living rooms are good sleeping space and where there’s space, there will be a bed. Most workers don’t do any cooking or prepare any food in their apartments, in most cases it would be very difficult to do so with dirty floors and surfaces, lack of usable cutlery and plates, some don’t even have a hob or hotplate to cook on in the first place. Food in your apartments and leftover take away remains are going to attract cockroaches and ants. You may drive yourself crazy telling your flatmates not to eat kebabs in bed or you may be the culprit yourself, either way you are likely to have a range of exotic bugs sharing your apartment. Insect repellants, sprays and traps are all available from Incredible Universe shop on Nissi Avenue or supermarkets, as are a good range of cleaning products. Some accommodations are looked after by a manager rather than the apartment owner. Sometimes owners don’t want the hassle of dealing with people themselves and there are a few managers who place hundreds of workers in apartments they look after each year. Both owners and managers are known to be quite ruthless and businesslike and will not be interested in any hard luck stories if you can’t pay your rent or have any problems. All they will care about is getting your rent on time and without having to chase you or deal with any issues. You may need to give your passport to the accommodation owner or manager as security that you won’t trash their apartment and leave without paying. Although actually it is illegal to hold someone’s passport you may not be able to rent without handing it over. Always have a photocopy of your passport kept safe somewhere and also leave a copy at home in case you need it to be faxed or emailed over to you. Owners and managers can evict anyone, anytime, without reason. You won’t have any formal contracts, there is no agent you can speak to if you have any issues with your landlord. If you cause any damage, don’t pay your rent on time, or create any problems then you will be kicked out. Workers accommodation can be on the grubby side. You may not have working air-conditioning. There may not always be hot water and sometimes no water at all. No refunds are usually offered if you change your mind or leave early. You might not like the accommodation but have to stay or lose money. The apartment advertised may not be anything like the reality. 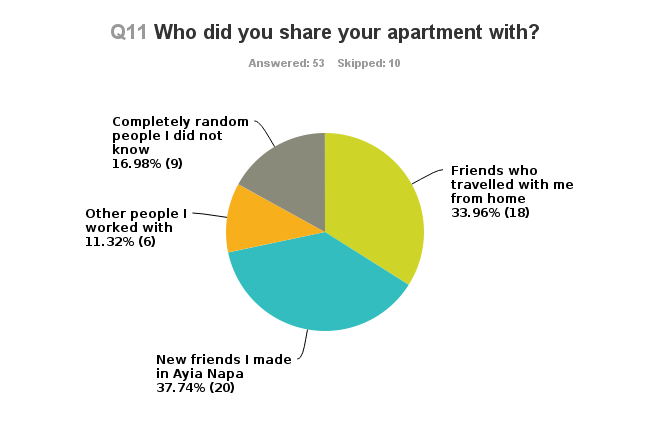 You might meet some people when you arrive who have space in their apartment you can share. You might be one of the very lucky few who get a job with accommodation. You might get homesick and go home after a few weeks. You might run out of money and go home after a few weeks. You might not like working abroad and go home after a few weeks. You might forget you're there to work and think you're on holiday and get fired and go home after a few weeks. Walk around looking for accommodation to rent signs. Phone the numbers you see on flat for rent signs. Come in late April or May for the best choice of accommodation. Don't bring any valuables with you. Bring money for at least 2 months rent in case you get paid monthly. Keep a photocopy of your passport and other documents. Look on workers groups on Facebook for possible flat shares. Be prepared for ants and cockroaches. Buy insect repellent and a mosquito plug in for your room. Buy bug spray for your room. Spray your mattress. Find people to share with early so you don't have to share with strangers. Book 1 or 2 weeks holiday accommodation for when you first arrive. Expect accommodation to be basic and old. If you damage your apartment you will be asked to pay damages.